Steven MacCutcheon was a promising young snowboard talent when at 17 an accident put a hold on his career. After spending 5 years in recovery, he’s now working his way back to the slopes and his ultimate goal: Representing the United States of America in the 2018 Olympic Games. To do so, he's using a new training method that leverages the DJI Inspire 1 to help him to reach his dream. Born and raised in Vail, Colorado, U.S., a popular ski resort, Steven started skiing at two and then decided to switch over to snowboarding at five years of age. At eight, he started competing and made the National Championships at the ago of ten, winning his age group. That's when he realized that snowboarding was what he was meant to do, inspiring him to dedicate all of his time and effort into practicing. For five years he threw himself at developing his skills before his big break into the professional arena. Steven spent the next five years in recovery, regaining his strength and and re-learning motor skills before he could start competing again. In 2012, he ended up at a respectable 23rd place after starting last in the FIS North America Cup. Just like he did when he was 10 he put all his effort into training, waking up at 5 AM every morning to go out running. Year after year, he kept improving. Little by little, step by step, he started climbing up the rankings all over again. MacCutcheon is now working closely with his new coach, Thedo Remmelink. Remmelink is himself a seasoned athlete with eight world titles and an Olympian, having competed in the 1998 Nagano Olympics. 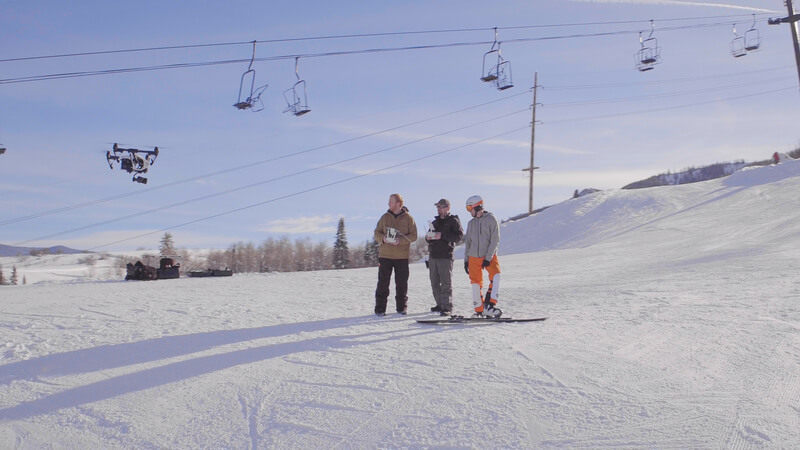 Originally from the Netherlands, Thedo moved to the U.S. to start his coaching career and created a pro snowboard racing program at the Steamboat Springs Winter Sports Club. 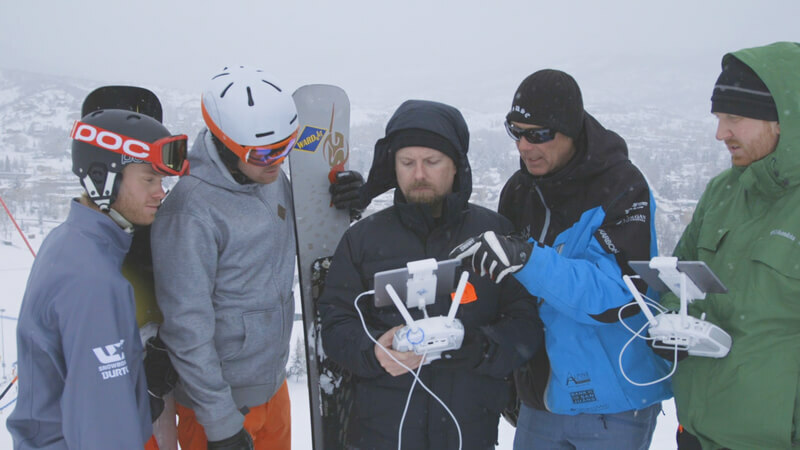 To take Steven's racing to the next level, Thedo has adapted a new tool: the DJI Inspire 1. 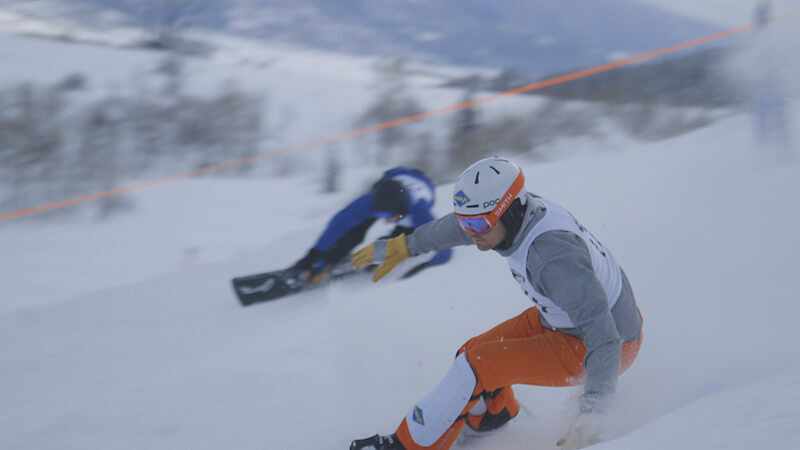 In snowboard racing just as with race cars, maintaining an optimal route, or line, throughout the track is what adds or takes a way a second, makes or breaks a race and crowns winners. If a racer takes decisions that make his line less than optimal, or doesn't keep it, the result is a slower race. A perspective from above, shows the line throughout a race, allowing both coach and athlete to play it back, reflect, and improve for the next race. Will his strong work ethic and the new perspective offered by the Inspire 1 bring Steven to the 2018 Olympic Games and make his dreams come true? We hope so, and will be following every step of the way on his journey.